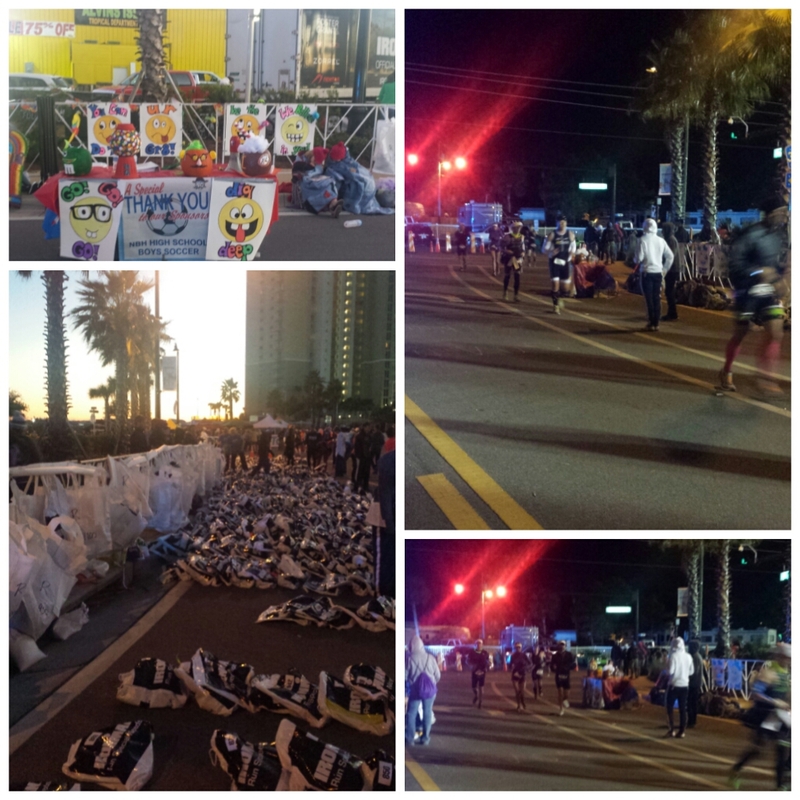 Back on the running side of things, I wanted to do a 5K in Panama City. 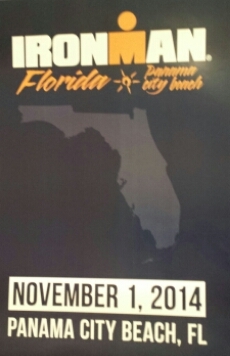 There were no races fitting my vacation, however, I discovered the Ironman Florida race would be taking place. 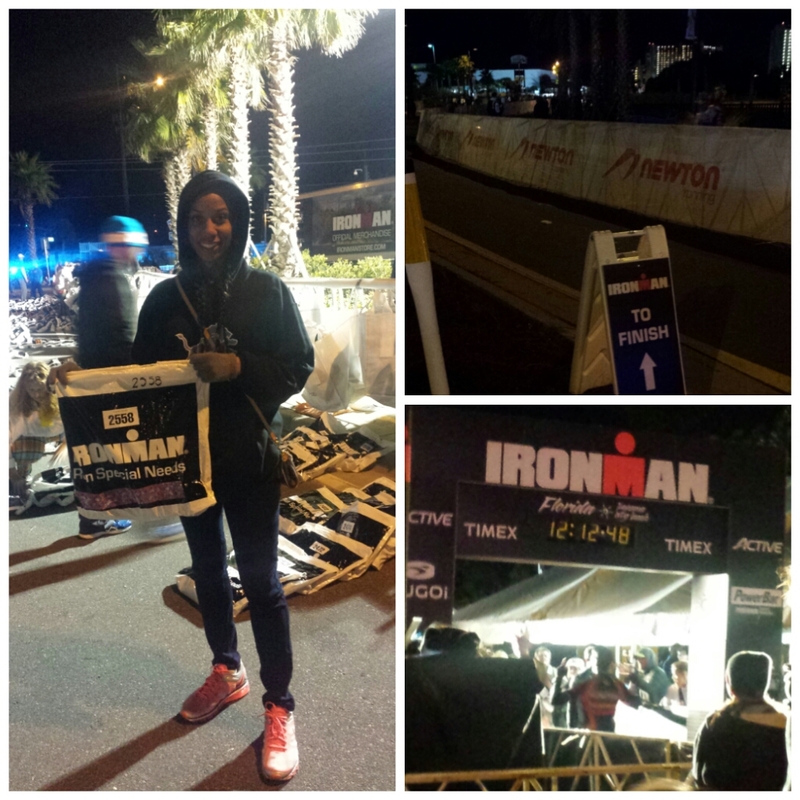 The Ironman Louisville volunteer experience was so inspiring that I had to help out with IMFL. Yes, my day started at 4:30 am. Yes, I drove 600 miles. What these triathletes do is so much greater! 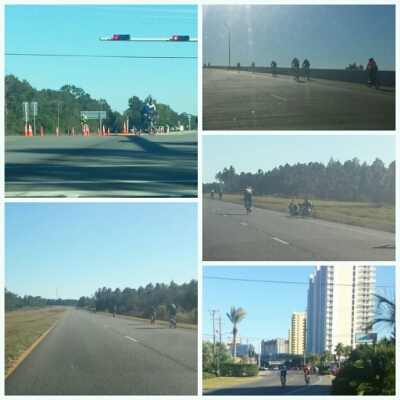 I saw the biking portion along Florida State Road 79. I knew the bikers were fighting to get those miles. The wind was something terrible. Once I checked into the resort, I was able to see even more of the bike course. I signed up to volunteer the 4-9pm shift. It was freezing! I was positioned at the Special Needs Run Station. 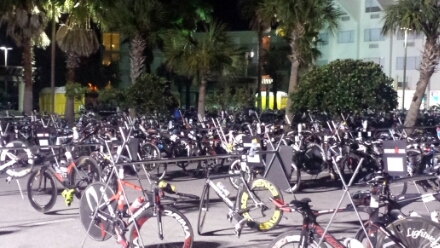 Our job was to retrieve the triathlete’s bags if they needed any supplies. A lot of the runners were adding layers of clothing, refueling, and switching shoes. It was this point where I learned the swim portion of the race was canceled. Race officials made the call due to high rip currents. Some of the things I encountered were reading a note written from a triathlete’s daughter, meeting a woman who runs without socks, and a runner eating peanut M&Ms for fuel. After a couple hours, my Lions hoodie was not cutting it. We walked to the finish line area at the Boardward Resort. It was no where near as lively as the IMLV 4th Street Live! finish. I spoke with a finisher from Cleveland, OH who told me he hired a pro triathlete to train him for a year. He said the most important thing was nutrition during the race. His hardest training day consisted of a Sunday where he had to run for an hour and a half in the morning, bike for 5 and a half hours in the afternoon, then run for another 1.5 hours in the evening. I talked with another man from Houston who only trained for 12 weeks. No telling what his base fitness level was. He volunteered one year and was inspired to do an Ironman the following year. The volunteer appreciation dinner was held the following day at the Boardwalk. The food was delicious and they gave out a lot of prizes. They showed a video about Jacob Sharff, a Para Triathlete who talked about everyone having a struggle; his is just visible. He owns an adapted sports store called How I Roll Sports. Another standout was 84 year old, Sister Madonna Buder. Sister Madonna Buder is known as the Iron Nun and holds the world record for being the oldest person to finish an Ironman triathlon. The winner of Ironman Florida was Canadian Lionel Sanders. He is a recovering drug addict. • Someone spent 62.5 minutes in transition and still went on to finish. I continue to be inspired to branch out more from running. 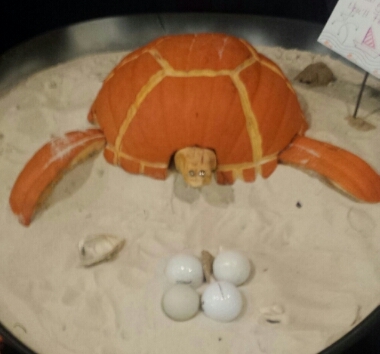 If they can do it, I know I can even if it’s a turtle’s pace. This entry was posted in fitness, Florida, health, ironman, marathon, running, Travel, triathlons and tagged Ironman Florida, panama city beach. Bookmark the permalink. I read another recap recently from someone who volunteered at an Ironman and it made me feel so inspired…not really so much to do one because I can’t swim to save my life, but to volunteer. 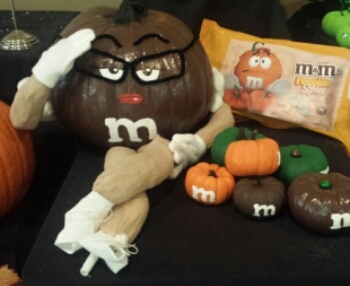 I would love to help out with something like this! Such a cool post! That’s crazy they had to cancel the swim though. That water must have been intense! Yes, the IM safety team was unable to stabilize so that cancelled the swim. I spoke with someone along the beach who told me a few years ago there was a woman who was doing the IMFL to honor her deceased husband who was a triathlete. She had a heart attack and died during the swim portion. My goal is to complete a 70.3 next year. I need to get the cycling part down. I believe the cross training will keep me injury free in the long run.